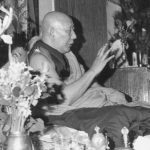 His Holiness Kyabje Ling Rinpoche (1903-83), the late senior tutor to His Holiness the Fourteenth Dalai Lama, was the 97th holder of the Throne of Gaden and head of the Gelug tradition of Tibetan Buddhism. He was ordained by the Thirteenth Dalai Lama, to whom his predecessor had also been tutor, and was a great scholar and teacher. 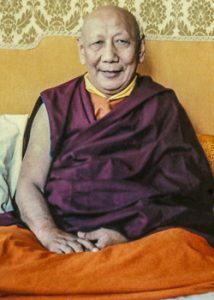 The current incarnation of Kyabje Ling Rinpoche was born in India in 1985. He is the spiritual head of Ling Khangtsen, in Karnataka State, South India. 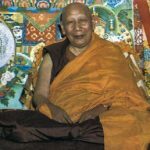 Read more of HH Kyabje Ling Rinpoche’s biography here.